The convenience of a mobile mechanic ensures that you are not out of pocket on time and money trying to arrange alternative arrangements when your car needs attending to. We arrive equipped at your preferred location, and that can be anywhere you like. Easier to have us service your Toyota at home? Or would you prefer your service on Holden to happen at work during the day? What is the easiest way to ensure that we attend your Ford in the most convenient way possible? Recently in your area we have attended to Volvo, BMW and Renault. Repairs and servicing took place all on site and the mechanic had what they needed right there and then like oil pressure switch, air flow meter and spark plugs ready to go. A prompt service polite and patient with my questions. A prompt service polite and patient with my questions. I have already recommended the service to I have already recommended the service to family. family. Thank you. Thank you. 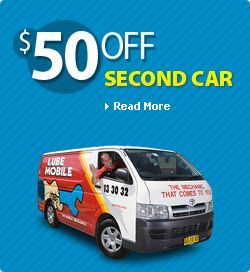 Lubemobile mechanics are available wherever you are like in Aspley. We attend to your vehicle wherever it is which includes anywhere from Carseldine, Carina and Tingalpa, and anywhere in between. We are Australia’s #1 mobile mechanic fleet attending to you when you need us. You can get your car serviced on holiday. Have the tyres replaced or rotated at work. 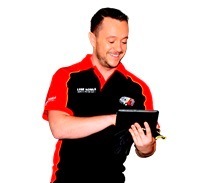 Our mechanics have serviced over 2,139 vehicles in your area over the past 3 months alone. Have a Log book servicing completed entirely on site at your home address. Or our mechanic specialists can travel fully equipped to wherever you specify to carry out work including log book servicing and muffler fitting. Keep your service history up to date on your Ford and Seat without the hassle of being without your car for long periods of time. Happy clients already using the benefits of a fully mobile mechanical service have offered over 49 from the Brisbane Metro region. Take advange of the 38 Lube Mobile has in your area.